Today is the official release of iOOTP 2014. 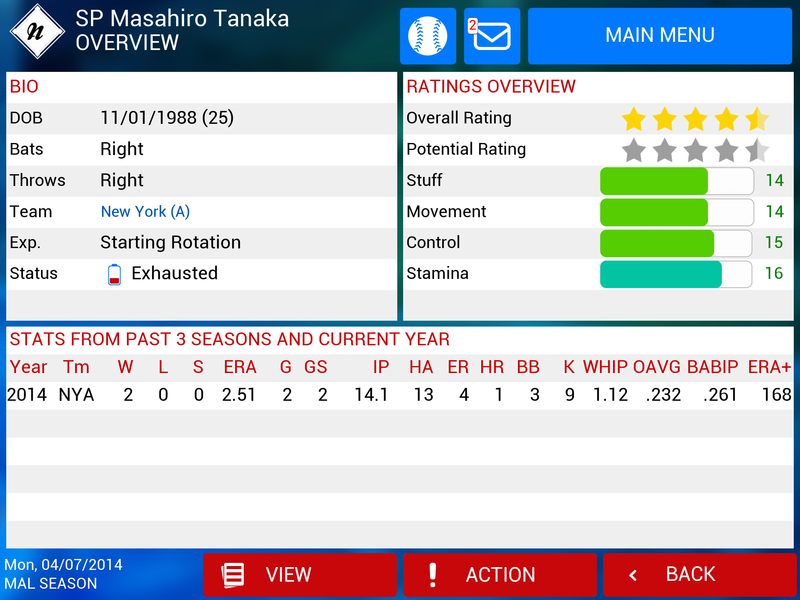 We just earlier today put out our review of OOTP 15 for (PC, Mac and Linux) and now you can play the handheld variation. Keep in mind the games are different by platform. Universal build, the iPad HD version is included for free! 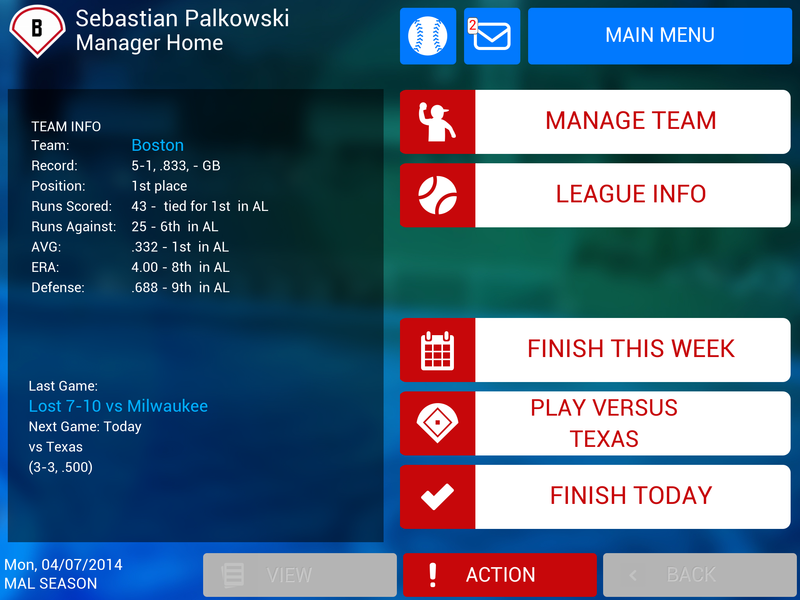 iOOTP Baseball 2014 features a living world that uses the same robust simulation engine found in Out of the Park Baseball for Mac and PC. 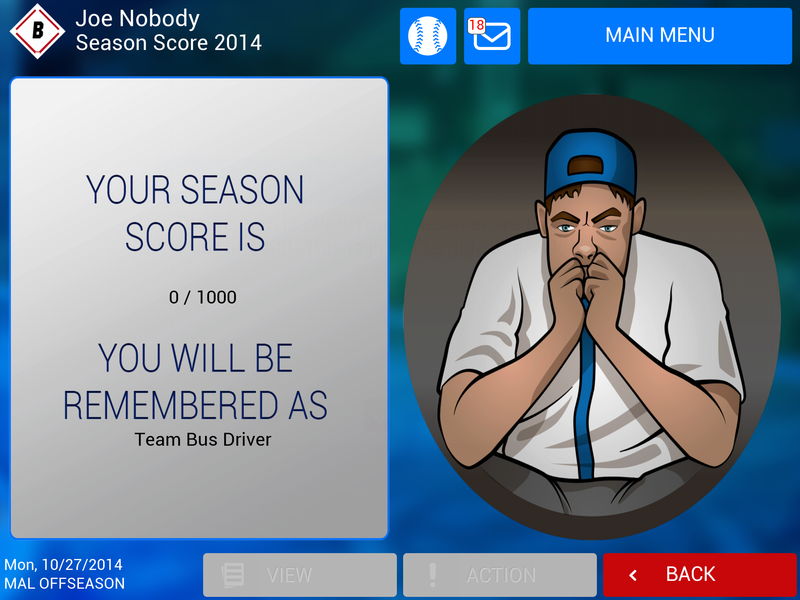 Choose a team and play out the 2014 season. Will Kershaw again dominate the NL? How will Tanaka perform under the Spotlight in New York? How does Mike Trout continue his excellent young career? Find out! iOOTP creates one of four fictional baseball worlds and populates it with fresh players and clubs. Select a team and build a dynasty from scratch. Choose one of three past seasons — 1919, 1939, or 2012 — and see if it produces a different outcome. Every other year in history is available as in-app purchase! 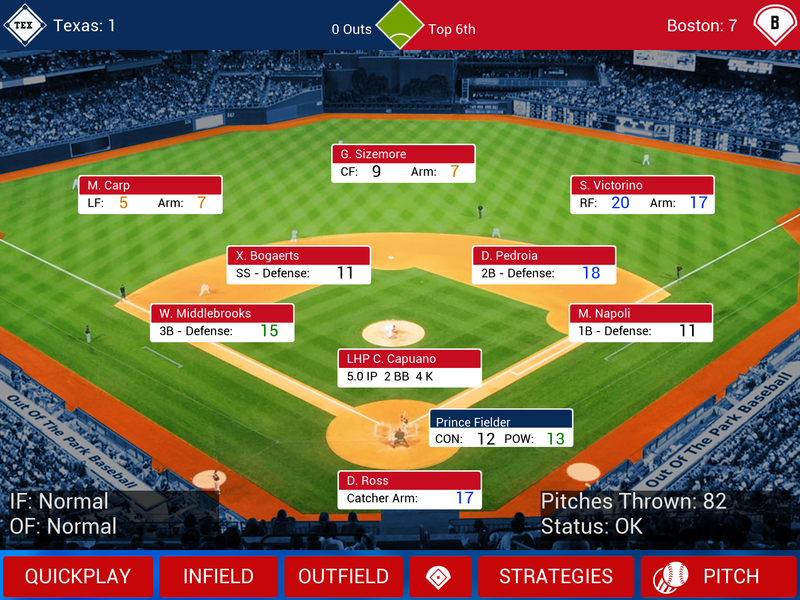 Manage your team, set lineups, depth charts, pitching staff and more! Call the shots from the dugout and watch the games unfold. Step into the shoes of the General Manager: Negotiate contracts, sign free agents, put together trades, draft amateurs, promote players from the minors etc. During games, the play-by-play text is generated from a huge database of tens of thousands of lines that bring the action alive. 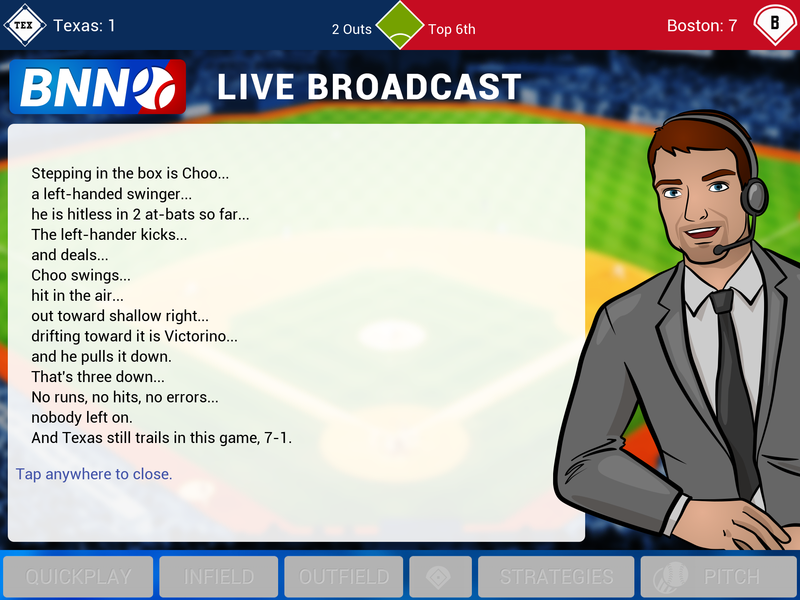 Bottom of the ninth, two outs, bases loaded, you’re down by two runs and you have your best hitter stepping to the plate against your opponent’s rock-solid closer … What will happen next? During the season, news tickers bring you headlines from around the leagues! Your biggest rival just pulled off a blockbuster trade with the trading deadline looming … How will you respond? 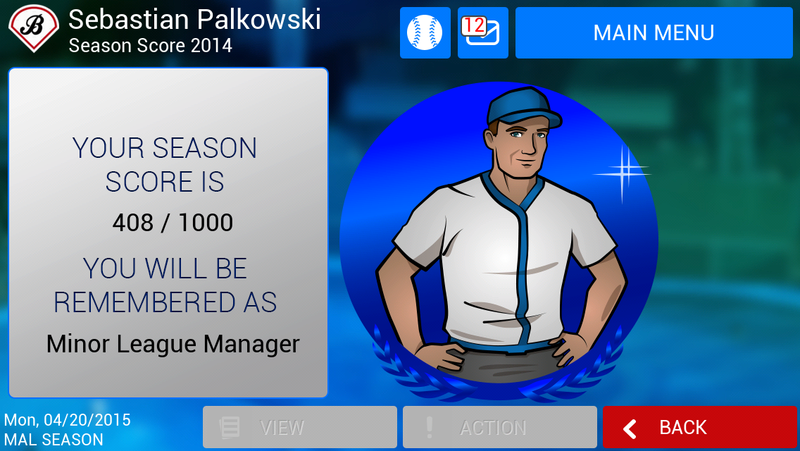 As iOOTP’s living world evolves, players develop their careers, age, and eventually retire, with a possible spot in the Hall of Fame waiting for them. New players drafted by you and groomed in the minors take their place and become the next generation of superstars.